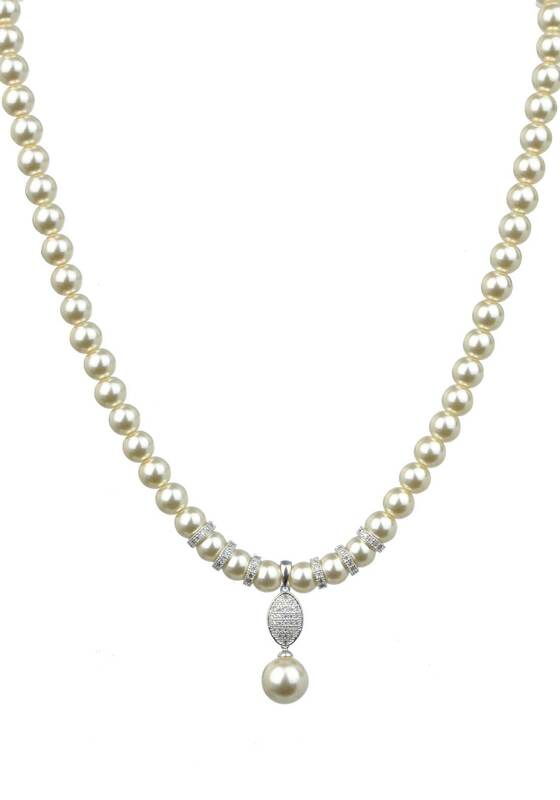 With a stunning pave set drop pendant, and a natural tone pearl hanging from it, crystal set spacers separate the pearls near the pendant, for extra sparkle. A lobster clasp finishes this stunning piece. 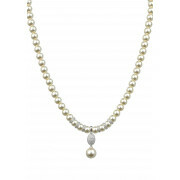 Nothing says elegant quite like natural pearls, and this beautiful necklace is no exception.